At the Podor Law Firm in Solon, Ohio, we focus solely on personal injury law and helping individuals and families obtain their rightful compensation in the face of a catastrophic injury or devastating loss resulting from another party's negligence or wrongdoing. For more than 30 years now, our law firm has been the trusted source for high-quality legal advocacy for those in need. Each of our attorneys possesses extensive legal experience, and since we only handle personal injury cases and other claims of negligence, we can help you achieve the maximum amount of finances to cover your medical bills and lost wages, as well as your pain and suffering. 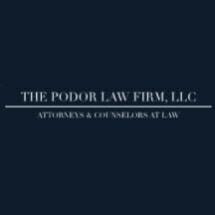 If you were hurt or lost a loved one because of someone else's careless, reckless or unlawful actions, you can trust the Podor Law Firm to help you assert your rights and provide the security and peace of mind you seek as you focus on your recovery. For more information, you can contact our law office to schedule a free initial consultation. If you cannot make it to our office, we can come to you to help you during your difficult time.